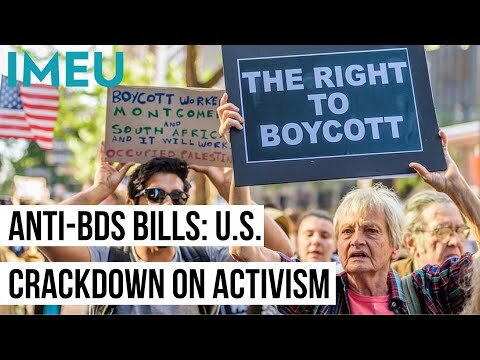 Most Palestinian homes and structures targeted for destruction by Israel are located in occupied East Jerusalem and in the Jordan Valley in the West Bank, areas that Israel has been attempting to squeeze the Palestinian population out of in order to cement its control. 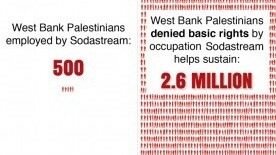 In defense of their factory located in an illegal Israeli settlement, Sodastream has cited their employment of approximately 500 Palestinians. 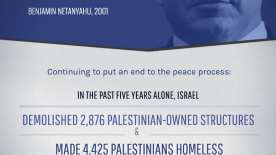 This infographic puts that into the context of the broader issue, the Israeli occupation. 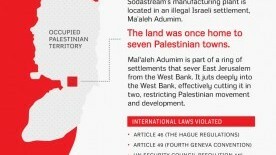 SodaStream, an Israeli company that produces home soda machines, has become a target of human rights activists because its main production facility is located in the illegal settlement of Ma’aleh Adumim on Palestinian land in the occupied West Bank. It was recently announced that actress and Oxfam Ambassador Scarlett Johansson is now SodaStream’s first brand ambassador. The number of Americans living in poverty rose to a record-breaking 46.5 million last year but funding for food aid is dropping at an alarming rate. SNAP funding was slashed by $5 billion over the next fiscal year. 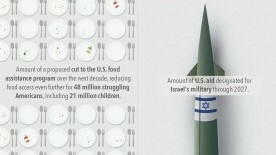 Meanwhile, military aid to Israel continues to rise. 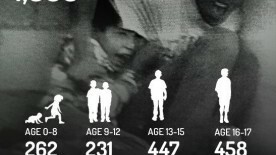 This infographic breaks down the number of Palestinian children killed by Israeli forces by age group. 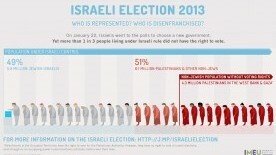 Israeli Election 2013 - Who is represented? Who is disenfranchised? On January 22nd, Israelis went to the polls to choose a new government. Yet more than 1 in 3 people living under Israeli rule did not have the right to vote. This infographic begs the questions: Who is represented? Who is disenfranchised?